I’ve been severely unmotivated this past month. I spent the first whole week in California with my daughters, on vacation for the most part, and it always takes me a while to recover from a vacation — haha! If it weren’t for my guild’s retreat this month, I’m not sure I’d have gotten any sewing done at all, because I’ve mostly been at the longarm trying to catch up, and I really only seem to get further and further behind. I have decided that I’m the world’s slowest longarm quilter. Every. Single. Quilt. Takes way longer than I expect it to, which really wreaks havoc on my scheduling. Even after eight years, I don’t have a good handle on it. It gets kind of discouraging. But I’m plugging along, quilting for as many hours a day as I can. 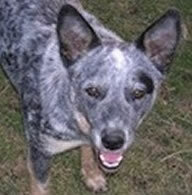 Custom quilting takes a lot of time, and frequent interruptions are a major part of my life. I need to come to terms with those two things. So, let’s see, what blocks did I make this month? Here’s a couple I forgot to count last month, so that right there is a boost. These were made for a guild exchange. The pattern is by Diane D. Knott of Butterfly Threads Quilting and is available as a free tutorial on the Craftsy blog HERE. 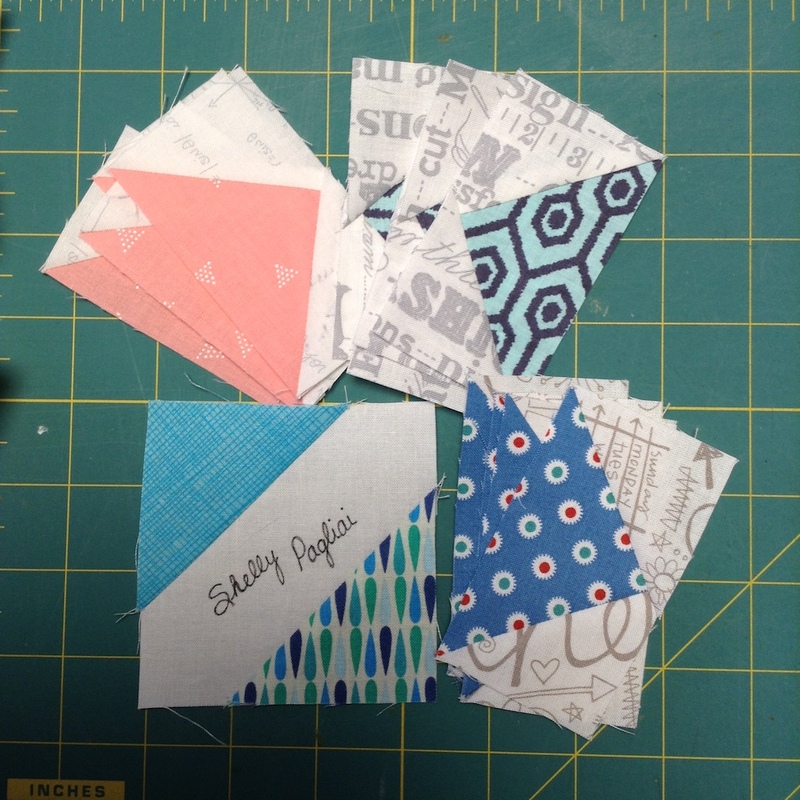 It’s Secret Sewing Season, with Quilt Market coming up in May, so I did some sewing that I can’t show you yet, but I made 70 blocks for those projects. I made these 25 cute and bright little things for this table topper. 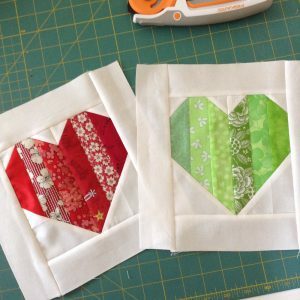 I used the Scrappy Log Cabin tutorial by Sherri at A Quilting Life to make these from a honey bun of Oh, Cherry Oh! fabric. The Pencil Tip block comes from Love Patchwork & Quilting magazine, I can’t remember which issue, and now I can’t find my notes on it. I made a few others, but again, I’m not counting them until I’m done with all of them, so I don’t accidentally count them twice. So that makes a March total of 103 for me. My best month so far this year! It’s time to report in your totals for March, so leave a comment or contact me and let me know your new numbers. 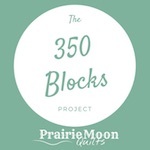 I’ve got the Project Page updated with all the totals I currently have, and our new goal for April, which is 29 blocks, for a year-to-date total of 103 by the end of April. 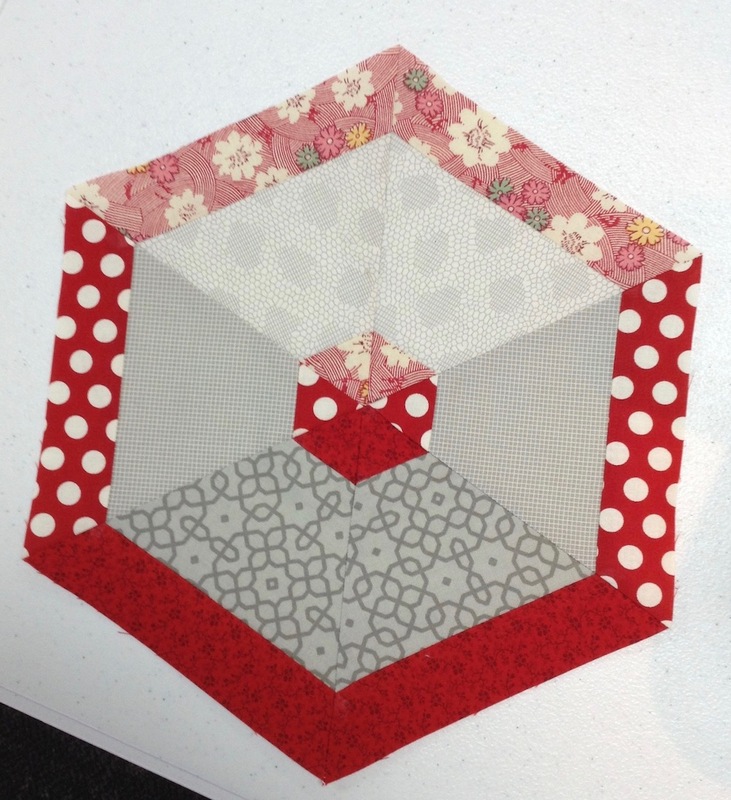 The winner of the February prize package is Kathi, who had 42 blocks by the end of February! I hope we all have a very productive April for block making. Happy Stitching! only 12 blocks for this month. My father in law passed away, so we have been in Florida. and sewing was just out of the question. He’s at peace now and no longer suffering. Hopefully I will get my sewing mojo back in April. Baby quilts, RSC challenge, ufo finishes = 21 blocks for me this month. Since I’m ahead of the YTD total, will be satisfied with these few for the month. I’m seriously thinking of changing my sewing room to a larger room. I am way to stuffed in there. I really need the room. I have a heavy duty professional sewing machine in the basement and I really want it up stairs in my sewing room so I can make my bags again. As of right now I have a small path going around the room. So we will see what happens in the next few weeks. As for blocks I have done 12. Didn’t feel like going in my sewing room where it’s so crowded. managed to add 21 to my total this past month. 15 crunb blocks, 2 string pieced blocks and 4 blocks for a lotto on a yahoo group. Never go to work on my summer solstice or others I wanted to get done. Always next month I guess! March blocks completed is 124. They are pieced and applique’s and will go to the guild for baby quilts. Ha, ha, ha! Slightly better than last month, but that’s not saying much. 15 blocks for March. I do like your log cabin blocks, and that pencil tip is fun. I completed 50 Quilts of Valor blocks this month. My block report is sort of a bust this month. 7 quilts for a charity project & also made a christening gown for a Right To Life Raffle. Only 12 for me this month, but I knew it was going to be a tough month for sewing. Too much on during March. 155 this month. Somewhere I have an email from you saying I had a missing month. I had 43 for that month. For being unmotivated you finished a lot of blocks! How much do you get done when you’re motivated and not on vacation? I got 37 done this month, including 5 dogs from Elizabeth Hartman’s new pattern that were so much fun to make. I did 35 blocks. Dont know if it went thru. By the way received cookbook today. Love it. Thanks again. 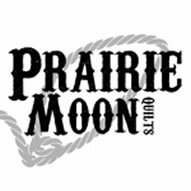 My quilt group Heart of MO quilters is looking for speakers to come to meeting sometime after July. Would you be able to speak to group trunk show or whatever. Thanks. I did a horrible job on blocks this month. Only 27 blocks accomplished. I’m a tad bit frustrated with myself. Hi. Your blocks are pretty, as always. For this month, I made 32 blocks. I managed to get 94 blocks done this month……….a lot of them for two veteran’s quilts. Your blocks are certainly nice – those little hearts are so sweet. I went on a trip, too, and visited quilt shops and went to quilt meetings, and sewed with a small group at the library where I did my block but brought home a UFO. Until I clear my workspace (aftermath of trip), making blocks is kind of at a standstill! I took a top to a long arm quilter last week for custom quilting thinking I wouldn’t see it again for months…and she called in three days! She was so excited and changed her mind about my quilt being the last one she was going to do for customers! That’s encouraging! March was productive with 58 blocks finished. That totals 157 for the year so far. April will probably be a little slower, but I am not in a race. Only 6 blocks this month. I have been busy trying to catch up with quilting and setting together two quilts. Hope to be back to making more blocks next month. After months of very little, if any sewing I made 91 blocks in March. I feel like I’m on a roll now! I went away for two 3 day sewing retreats this month, as well as home sewing,so got a mountain of blocks done. 2 sets of 48 Heartstrings blocks, 35x 16patch blocks for a quilt for my Biggest grandson, 14 more Tula Pink City Sampler blocks (56/100 done now) and a 7 rows quilt top. This adds up to = 154 blocks. I will count 155 blocks for March. I have finished some others for another quilt in quilt retreat but will wait to count them when all are finished. I got a lot of sewing done this week while staying with my sick 85 year old mother. She is doing good now and plans on going back to teaching her college classes Monday. I completed 78 blocks for March. Twenty-five of them were crumb blocks. I do crumb blocks as leader enders. Glad to be able to do that spent most of the month, painting/cleaning house my daughter purchased so she could move in on the 25th. 46 blocks for me. The hexie blocks can be done on a bus…Good thing as my last week was spent getting to Pa. 12 on bus two days at AQS lancaster than 12 hours back… yippie I am glad to be back. Shelly, just keep plugging along. You are getting it done. Give yourself some grace. Just pad your calendar with some “me” time. I got 56 blocks finished for March. More than I thought. Guess I couldn’t count the miles and miles of binding I sewed on TWO quilts, could I?? Your heart blocks are darling. And I LOVE the shading on the “Pencil Tip” block. Can’t wait to see the whole quilt. 1 block equivalent of the 3″ rail fence blocks (finished another 25 blocks). 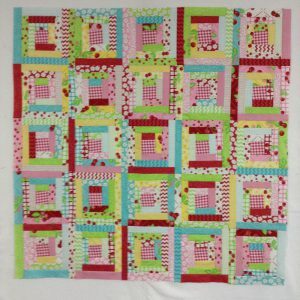 I am hoping that I can get more blocks done in March since I want to make a couple of quilts for the Hands2Help project. I only have 24 blocks this month. My youngest daughter married on St. Patrick’s Day. 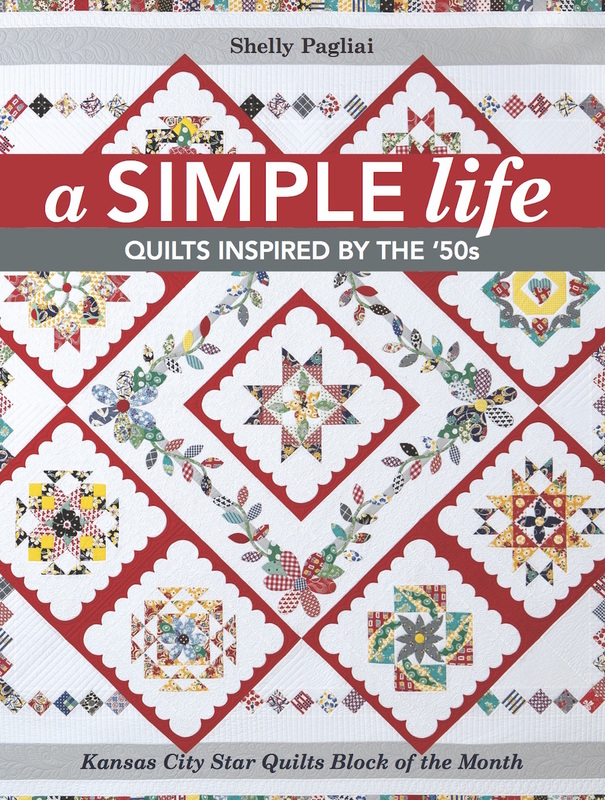 I did a lot of small projects – tea towels etc, but not quilt blocks. I actually managed to complete 32 blocks in March. I probably won’t get many done this month – I need to do some machine quilting. I made 51 blocks last month. Sadly I have no blocks for March. A lot of picking but nothing finished. Hoping next month will be less hectic more sewing time! I had 77 blocks this month. Lots of guild projects going on. Can’t remember how many I reported for March, but you recorded it and I’m feeling good that I’m way ahead of the goal. It’s good to have that buffer. Thanks again for doing this challenge, it’s a great motivator! My YTD total is 107. It’s been a good month for me with 32 blocks, taking my YTD total to 83 so far. Thanks for the motivation! I don’t see that I replied yet so here goes. I made 18 blocks this month and finished baby quilts for my twin great grand girls due next month. It was a good month. 79 new, for a total of 248. March was a month of zero blocks for me, but I did finish a top and start quilting! I only made 22 blocks in March evidently. For a total thus far of 147. 49 blocks for me in March.